An adventure that takes the stress out of life at least for a day is canoeing amongst the wilderness that surrounds Rock Lake in Algonquin Provincial Park in Ontario, Canada. The Autumn colors of the forest are spectacular, the lake is calm and people canoeing at this time of year are minimal making the tranquility seem too good to be true. 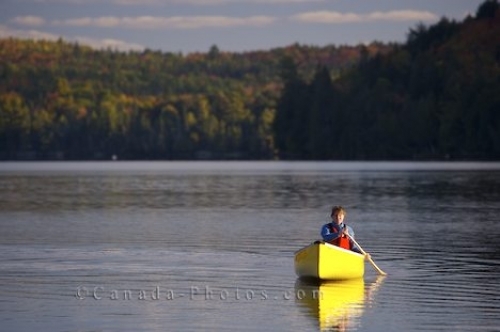 Picture of a woman canoeing on Rock Lake in Algonquin Provincial Park in Ontario, Canada surrounded by the quiet wilderness.